A parament is a type of liturgical hanging or ornamental cloth. The term is often used to describe the hangings around an altar as well as the cloths used to cover the pulpit, lectern or altar. 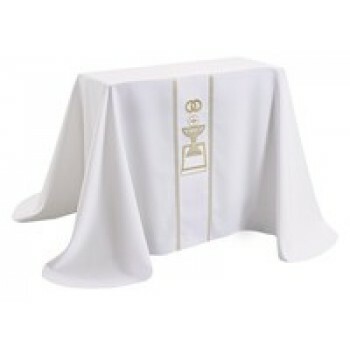 The term parament is often used to describe an altar cloth. In many Christian churches, the parament's color is dependent upon the liturgical season. During advent, a purple cloth is used. During Christmas, a white cloth is displayed. Lent is associated with purple while Easter reverts back to white. Pentecost calls for a red parament while the rest of the year favors green. Matthew F. Sheehan is pleased to offer a large selection of altar paraments in a variety of sizes, shapes, colors and designs. 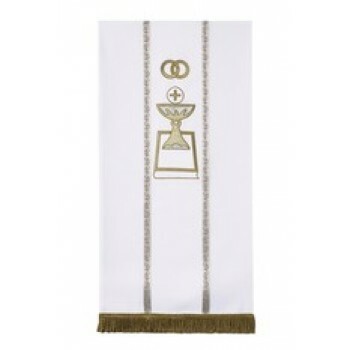 Choose a wedding parament or a colorful hanging in the current liturgical color. 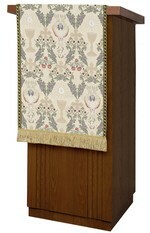 We also carry other designs that are appropriate for year-round use such as the stunning Tapestry of Life pattern. 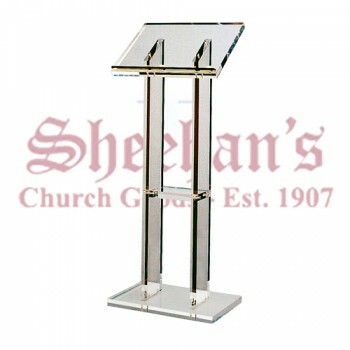 Altar paraments are available as-is or with an optional memorial label. Memorial labels are a great way to personalize your parament with a special line or 2 of text. Memorial label insertion will incur an additional fee, but is the best and easiest way to personalize your purchase. Memorial labels may be printed with a special message, name or date consisting of up to 2 lines of text with a maximum of 20 characters per line. 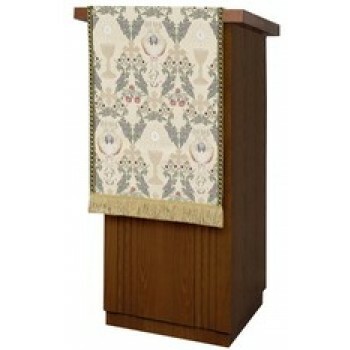 Our beautiful selection of paraments for church altars will look great in any space. Whether you're looking to celebrate the liturgical season o rust need something fresh for year-round use, we've got you covered. Our multi-purpose designs will add grace and beauty to any space without taking up a lot of room or costing a lot of money. Shop with Matthew F. Sheehan today for the best selection of church altar paraments and other religious goods. We have been in business since 1907 and take serving the faithful extremely seriously. Take advantage of our large selection, competitive prices and friendly customer service representatives today to find the right addition to your church. To speak with a live customer service agent, please call 1-617-971-9800.